Having a retaining wall on your property serves a very important purpose. To protect the structural integrity of your home, you need to keep soil held back in the right ways and a retaining wall is the perfect solution. While this addition to your home is practical, there are plenty of interesting ways to take advantage of the opportunity. Here are a few bits of information that you should know about your wall in order to make the most of it. First, rethink what a retaining wall actually is. It may be a wall of stones, but it does not have to be ugly. In fact, there are many exciting design options that you can explore when you are working with your wall. The type and size of brick or stone that you use can have an impact on how the finished product looks. You can also choose to incorporate plants or other outdoor elements into the wall to help it to blend in with your current aesthetic. Before you put up the wall, you are going to want to think about the ground itself. The land must have an evenness to it, which can be easily achieved if you put in a little bit of prep work. You’ll want to dig into the ground a few inches before you start evening out the soil. This will help to provide the support your wall will need. Make sure that you take time with each step of the process. When you are putting down bricks or stones, check to see if each one is level before adding more on top. Uneven bricks can cause your wall to fall apart, which is both frustrating and a hazard to those nearby when it gives. 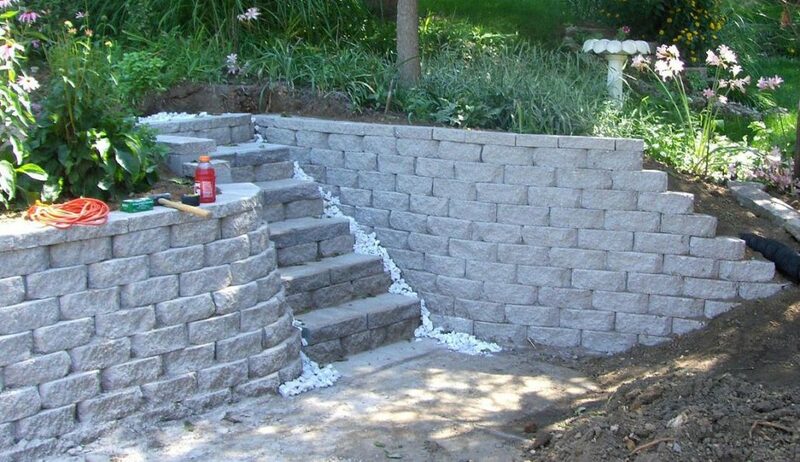 Think ahead and go slow and you will wind up with a retaining wall that looks great and serves a purpose. A poorly installed retaining wall will not be effective in protecting your home from soil erosion or water damage, so make sure to call in the help of a professional to complete the job. At G&K Construction, we’re more than happy to help you along the way. Call us today or click here for a quote.